1. Is it advisable to take on a Renovation Loan? As pointed out in my Will Renovation Raise your Property Value post, it is not wise to view renovation as a return on investment (unlike Study or Home Loan). Thus, I will advise you not to take on a Renovation Loan. 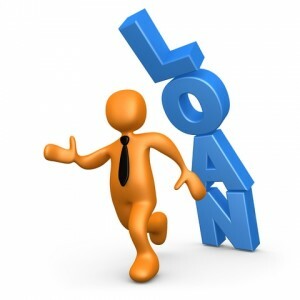 However if you have to, keep in mind to keep the loan amount small and manageable. 2. What is the minimum and maximum renovation loan amount? Maximum loan amount: 8 times of your monthly income or SGD$30,000 (whichever is lower). 3. What is the minimum and maximum loan tenure? 4. What are the conditions to be met before I can qualify for a renovation loan? * Note: If you do not meet the annual income of $24,000 fret not. To meet the minimum income criteria, you may apply for the loan with a joint applicant (who must be related i.e. parent, sibling, child or spouse). 5. What is the lowest interest rate that I might be looking at? The renovation loan bank rates fluctuates from time to time. Check from the list of Singapore banks * that offers renovation bank loans from below. * Note: You may wish to look at the other personal loans that banks offer. 6. How long do I wait before I can re-apply after being rejected? Waiting period might take up to 6 months. 7. What are the hidden costs of the bank loan? After approval, there is a processing fee (of 1.0% of the loan amount) which is to be paid upfront upon signing the Letter of Offer. By signing the letter, you have accepted the approved loan amount and the terms and conditions. There are also a penalty costs if you repay your loan earlier than the loan tenure or when you switch banks. 8. What are the Documents required for the loan application?